Golf Sunglasses Are the Prize in a Social Promotion Being Put on by ADS Sports Eyewear and the Google+ Golf Community. Golf Sunglasses can be won with just a few simple steps in a social promotion being held by ADS Sports Eyewear and the Google+ Golf Community. A special coupon code has also been created exclusively for members of the biggest Golf Community on Google+. Members of the Golf Community on Google+ who can’t wait to win may use the coupon code #GoogleGolf on the ADS Sports Eyewear website for 15% off their order. Golf Sunglasses are up for grabs in a social media promotion by ADS Sports Eyewear and the Google+ Golf Community. Winners will be able to choose any pair of golf sunglasses from Nike, Adidas, Bolle, Kaenon, Maui Jim or Oakley. A special coupon code has also been made exclusively available to the community members who want to save on sunglasses today. Golf Sunglasses from the brands mentioned above feature lightweight frames with lenses that can enhance anyone's golf game. The right pair of golf sunglasses will improve depth perception, enhance your ability to read textures on the green, and lower your score. Winners who require prescription lenses will be given 20% off new Free-Form Digitally surfaced lenses that eliminate the peripheral “fishbowl effect” that is commonly associated with prescriptions in wrap-style sunglasses. Prescription Golf Sunglasses with this technology provide the sharpest vision possible by recalculating the curve at every point on the back of the lens to insure that every part of the lens is in focus. This is the the biggest advancement in prescription surfacing technology, ever. To enter the drawing, members of the Google+ Golf Community must add the ADS Sports Eyewear page to one of their circles and “+1” the ADS profile page. Non-members can join the Golf Community during the promotion in order to become eligible. A drawing will be held once a week on Monday for the 4 weeks following the May 27th official contest announcement on the Golf Community Google+ page. Entries will be eligible for all 4 weeks without the need to re-enter. Previous winners may not win twice. 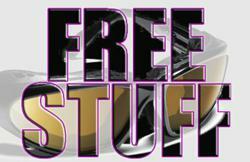 Shipping is free to those within the 48 contiguous United States. Shipping arrangements for those outside of that area can be arranged via PayPal. Members of the Golf Community on Google+ who can’t wait to win may use the coupon code #GoogleGolf on the ADS Sports Eyewear website for 15% off their order. The coupon excludes purchases from Oakley and Maui Jim. Oakley and Maui Jim sunglasses are available free to the winners but can not be discounted using the coupon code. ADS Sports Eyewear specializes in prescription and non-prescription sports sunglasses. For over ten years they have helped thousands of athletes obtain the vision they need to stay competitive. Feel free to call them with any questions regarding the best eyewear for any activity. They are happy to help.